While you eat your Xmas dinner the engineers at the LHC are busy fixing up the systems ready for next year’s run, there is no time to lose. Here is a picture. 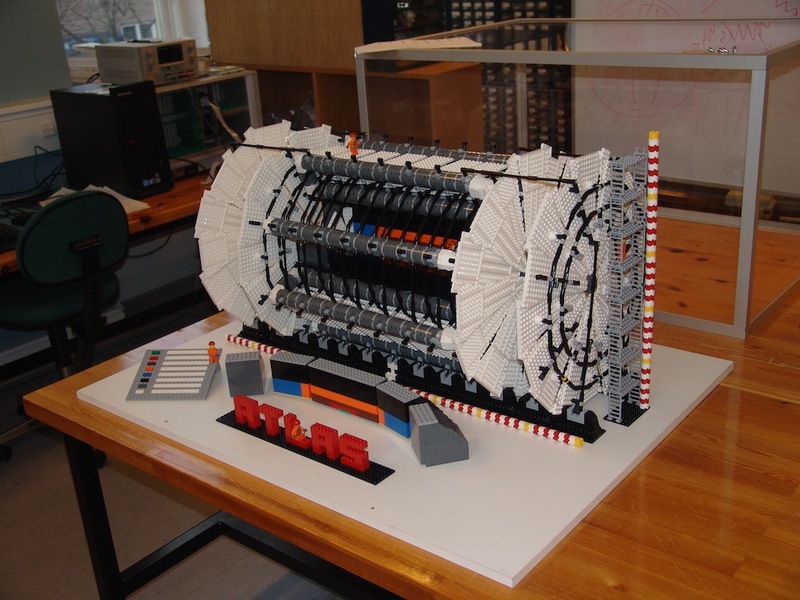 This model of the ATLAS detector was made by postdoc Sascha Mehlhase using 9500 LEGO bricks. The 1:50 scale model took 81 hours to put together including planning it on Lego Digital Designer . This entry was posted on Sunday, December 25th, 2011 at 12:46 pm and is filed under Large Hadron Collider. You can follow any responses to this entry through the RSS 2.0 feed. Both comments and pings are currently closed. I’d say Jon Gibbs is pretty good at “spin physics”! i dont want to be a xtmas spoiler, but a lego scale LHC? what follows; a lego scale multiverse? 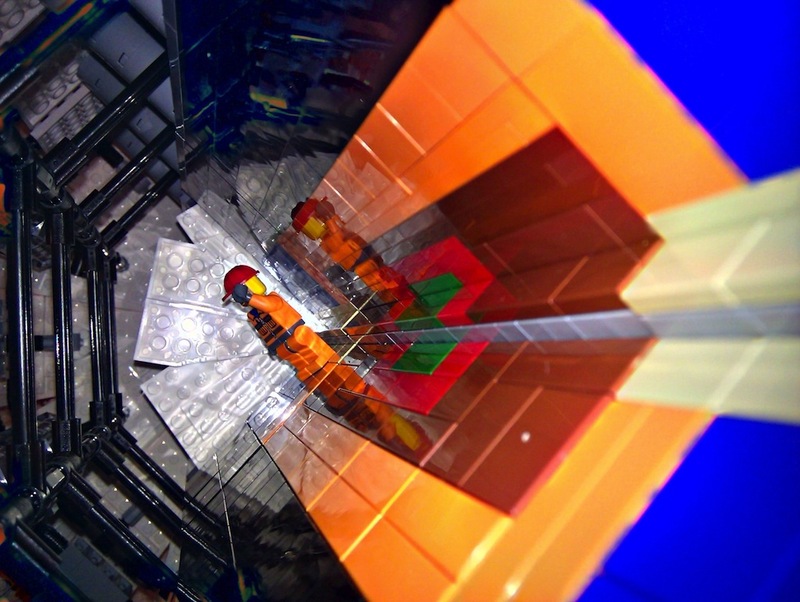 A lego Higgs would be even more interesting (Oh, maybe it can’t be done in 3-D?). When does the proton run start again? This is the future of CERN, due to Europe’s increasing debt crisis. At some stage, lavish funding will be cut off for the LHC. Interest rates can only go up, so the recession will get worse and the groupthink “science” religion priority is the extremely expensive and ineffective regulation of temperature by politically controlling CO2 emissions. This priority plus recession will kill CERN. However, to be cheerful, the lego version looks far more fun anyway, and the actual probability of discovering real evidence of supersymmetry is precisely the same in the lego version as in the real billion euro version (zero)!